Lionsgate Release New Clip from 'THE HUNGER GAMES' featuring Jennifer Lawrence & Liam Hemsworth! With The Hunger Games arriving Friday, Lionsgate continue to ramp up the marketing with another new clip from the movie featuring Katniss [Jennifer Lawrence] & Gale [Liam Hemsworth] faring an emotional goodbye. Lawrence stars as Katniss Everdeen, a 16-year-old living in the post-apocalyptic country of Panem. Every year, a boy and girl are chosen from each of the country’s 12 districts to fight each by lottery to compete to the death in gladiator-like spectacles, the 'Hunger Games'. The movie also stars Josh Hutcherson, Woody Harrelson, Amandia Stenberg, Alexander Ludwig, Elizabeth Banks, Lenny Kravitz, Toby Jones, Stanley Tucci, Donald Sutherland & Wes Bentley. 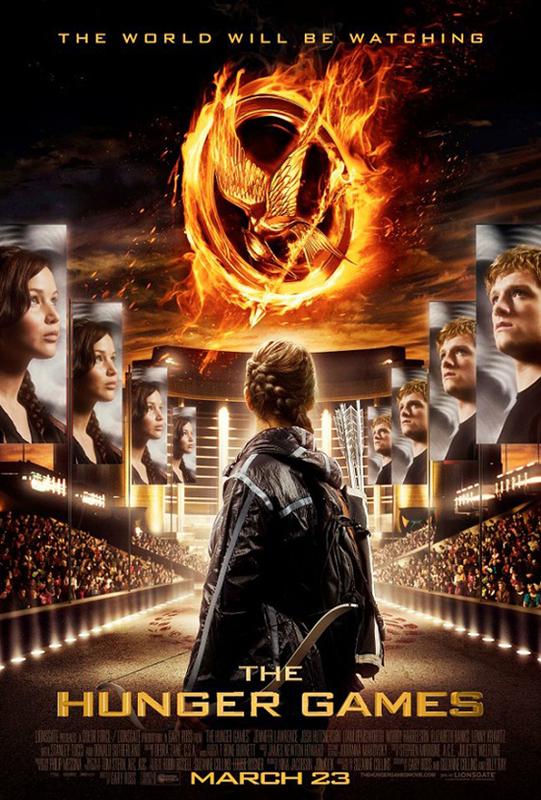 The Hunger Games hits theaters March 23rd. Hit the jump for the details. I'm reading: Lionsgate Release New Clip from 'THE HUNGER GAMES' featuring Jennifer Lawrence & Liam Hemsworth!Tweet this!